The Bureau of Labor Statistics (BLS) reported that consumer prices increased slightly in July by 0.1% on a seasonally adjusted month-over-month basis. This represents the smallest month-over-month increase since February. Over the past twelve months, prices on expenditures made by urban consumers increased 2.0% before seasonal adjustments. The energy price index decreased 0.3% month-over-month in July following a large 1.6% increase in June. All components of the energy index decreased from the prior month including the gasoline index which fell 0.3%. Over the past twelve months, the energy index increased 2.6% before seasonal adjustments. The increase in food prices picked up after a brief pause last month. The month-over-month increase in the food price index was 0.4% in July. Over the past twelve months the food index increased 2.5% before seasonal adjustments. 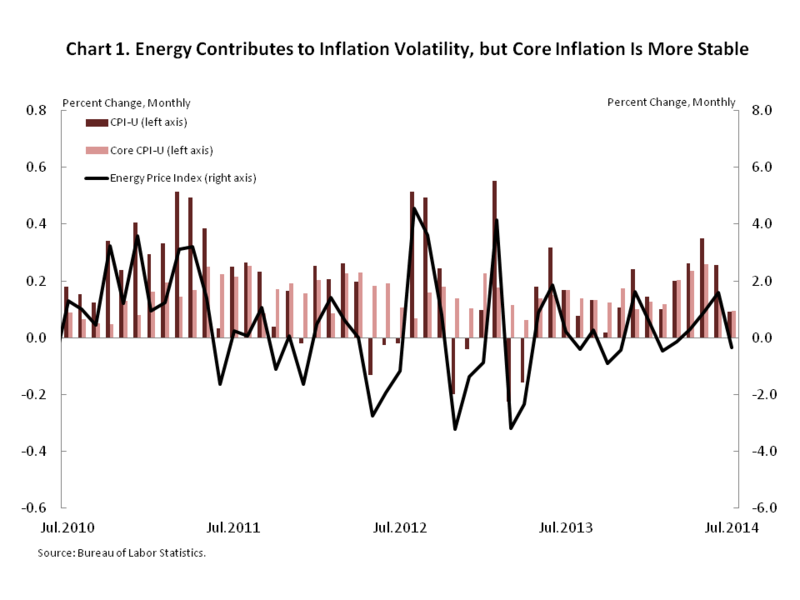 The Core CPI, which excludes more volatile food and energy prices, also rose 0.1% month-over-month. Over the past twelve months Core CPI increased 1.9%. The shelter index rose 0.3% month-over-month in July after increasing 0.2% month-over-month in June. Over the past twelve months, the shelter index increased 2.9% before seasonal adjustments. 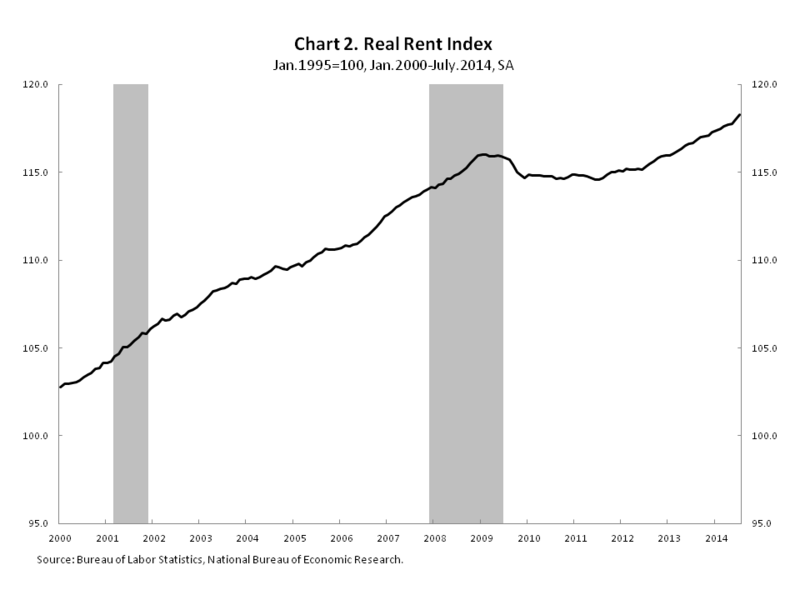 The real rent index increased in July 0.2% month-over-month and 1.4% over the past year.